Founded in 1899, St. Andrew merged with Ebenezer German Lutheran in 1964 to form Epiphany. I find the old German Lutheran churches scattered around the city fascinating. I should really call them Evangelical, but that word that originally meant “non-Catholic” now means something totally different in modern American culture. They were simple, never seeming to have the resources of the Roman Catholic Church. Other examples are Friedens and Bethlehem Lutheran. Originally this church was the English Lutheran Church of the Redeemer, of indeterminate construction date, but it looks no earlier than the 1880s. It was the site of a giant flooded sinkhole in 1875. It is located at 3127 California, at Juniata. Also, don’t forget I’m offering my iconic historic breweries of South City Tour this Thursday, October 1, 2015, at 6:30. Buy tickets here. 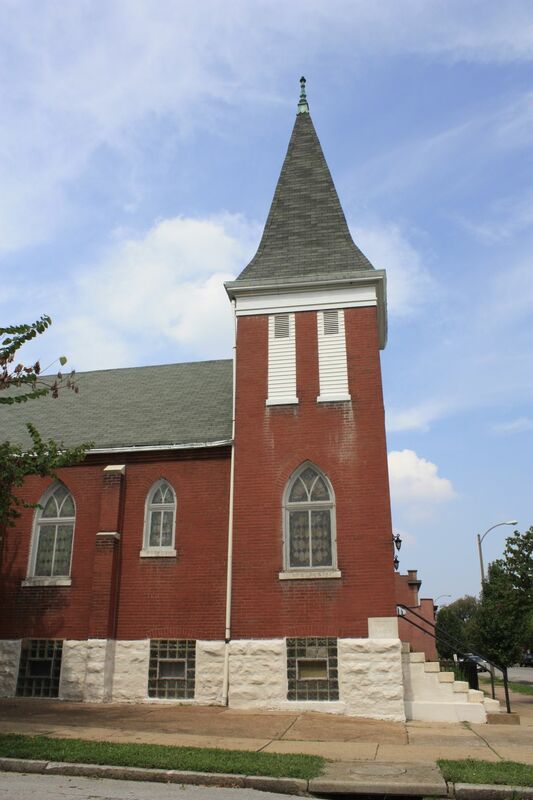 Check out St. Trinity Lutheran in Carondelet some time. It’s one of the oldest in the area. I can get you inside of that one if you want. I should check it out soon, Alan. Thanks!